In the Indian region of Raichur there is a serious shortage of wood due to deforestation. Moreover, the traditional way of cooking causes a lot of harmful smoke indoors, and women must spend a lot of time gathering wood. 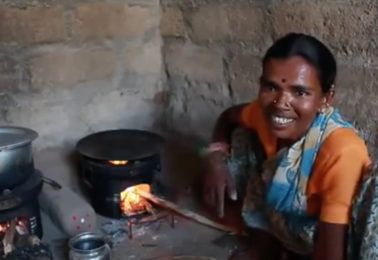 Together with local partner Samuha, FairClimateFund has been providing households - that are a member of the local community organization Janara Samuha Mutual Benefit Trust (JSMBT) - with cleaner cookstoves, or Chulikas, since 2011. 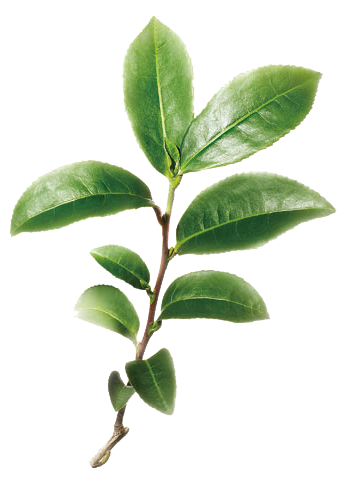 The aim is to reduce CO₂ emissions and improve living conditions. Now more than 18,000 families use Chulikas, which reduces their use of wood by two-thirds. This leads to a reduction of CO₂ emissions and smoke formation, protects the local forest and also reduces the amount of time women need to spend cooking and gathering firewood. The design of the Chulika cookstove ensures that air is preheated and there is complete combustion without visible smoke and only small amounts of ash. 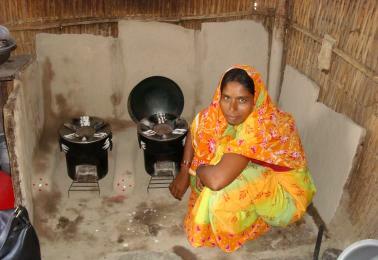 The cookstove is suitable for households in rural areas to cook, grill, bake typical Indian flat bread, and heat water. Participating families are expected to pay a fee of 20 Rupees to become a member of JSMBT, and 180 Rupees for the registration of the stoves. 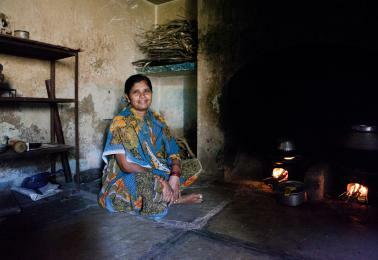 The cookstoves are paid through the CO₂ credits or carbon credits that the households earn. Our colleague Gert Crielaard visited our cookstove project in India.